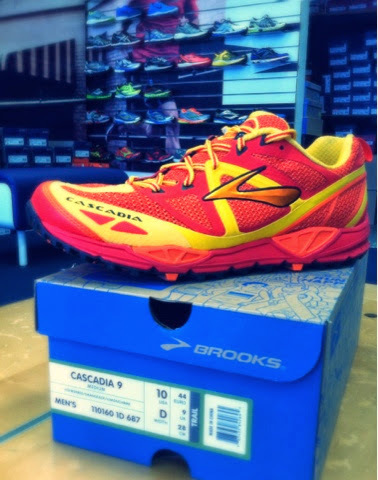 Shoes'n'Brews: Trail shoe Tuesday: Brooks Cascadia 9 !!! Okay, so this is my first Trail Tuesday posting, but I just got a fresh pair of Cascadia's today and am pumped with the new update! The upper has been retooled for a more seamless fit and a lower heel provides a little more stability on the trails...the color is freaking rad too! I'm planning on a Rancho run tomorrow, so I'll have more news to report then!